NFL Playoffs 2018: Which AFC Team Can Beat the New England Patriots? NFL Playoffs: Which AFC Team Can Beat the New England Patriots? The AFC Playoffs is better known as the "which team gets to face the New England Patriots in the AFC Championship game". The Pats have made six consecutive Conference title games and won three of them. Two of the three teams who beat the upsets won the Super Bowl. The five AFC playoff teams are a combined 0-7 against the Brady-Bellichick Pats in the postseason. Yikes. It was another ho-hum season for the Patriots - and by ho-hum, we meant another dominant season. Bill Bellichick's boys finished first in the league in yards (394.2) and second in points per game (28.6). Their defence surrendered the fourth-most yards (366) but allowed the fifth-least points (18.5). Better yet, they acquired one of the Steelers', the second-best AFC team's, defensive assets in James Harrison. The Patriots swept the Bills and beat the Steelers in the regular season. Their only blemish was a blowout loss against the Chiefs but the last time the Chiefs blew out the Pats in the regular season was in 2014: a year the Pats won a Super Bowl. Who Can Take Out the Pats? The Steelers have quietly been almost as successful as the Patriots since Big Ben came to town with two Super Bowls, three Super Bowl appearances, and five Conference Championship games. The only issue here is the Steelers are 0-3 against the Brady-Bellichick Pats in the playoffs and 2-11 overall. Even with a prolific offence that finished third in yards per game (377.9) and second in third-down percentage (44), the Steelers still seem a step behind. If Pittsburgh hopes to beat the Pats, they'll have to find a way to beat them in the clutch and it's easier said than done with ailing stars and a former Steeler now with the enemy. The Chiefs take being a "hot-and-cold team" to another level. They sandwiched a 1-6 midseason with winning streaks to finish 10-6. The key to this Chiefs team lies with their running game. Kareem Hunt has been a revelation but without proper run-blocking, the Chiefs become a pedestrian offensive team. Their defence also surrendered the fifth-most yards per game (365.1) in the league. Kansas City is actually 2-1 against the Pats in their last three meetings and they scored 40+ points in those two wins and that playoff loss still saw them beat the Pats in most offensive categories except for turnovers. The Chiefs may actually have the best shot to beat the Pats among the AFC teams. 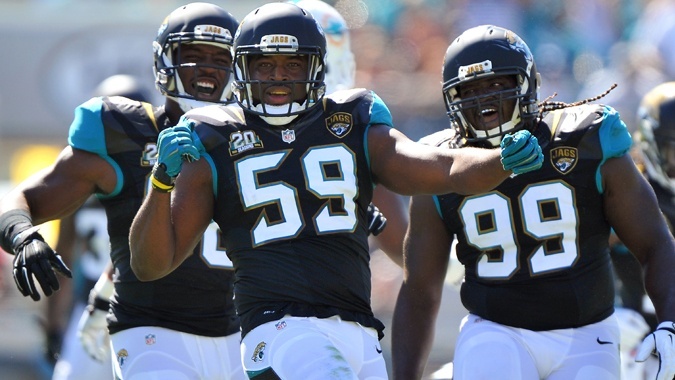 The Jags were a surprising team this season thanks to a dominant defence that finished second in points allowed (16.8) and yards per game (286.1), third in fumbles forced (25) and fourth in third-down conversion percentage (34). This is a championship-calibre defence with a weakness at quarterback. While Bortles looks good on paper, his playmaking is shaky at best. But strong defensive teams with questionable quarterback play like the Denver Broncos and Baltimore Ravens have defeated the Pats in recent playoffs so don't count out the Jags just yet. 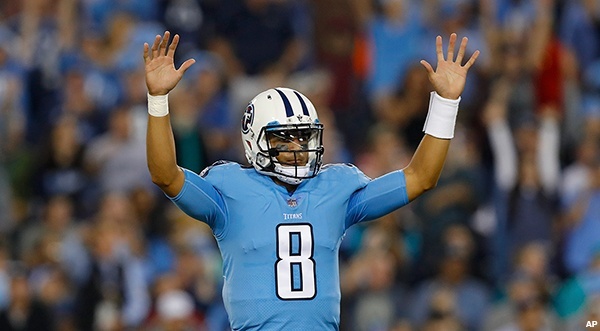 This was supposed to be the year star quarterback Marcus Mariota would take the floundering franchise to new heights. USA Today even predicted a 12-4 record for the Titans but they just squeaked into the playoffs and Mariota finished with more picks (15) than touchdowns (13). The Titans are the second-worst AFC playoff team in most stats and are also winless against the Pats. Next! Statistically, the Bills are the worst of the AFC teams surrendering the most points per game (22.4) and scoring the least (18.9). The Bills also got swept by the Pats losing both games by a combined score of 60-19. 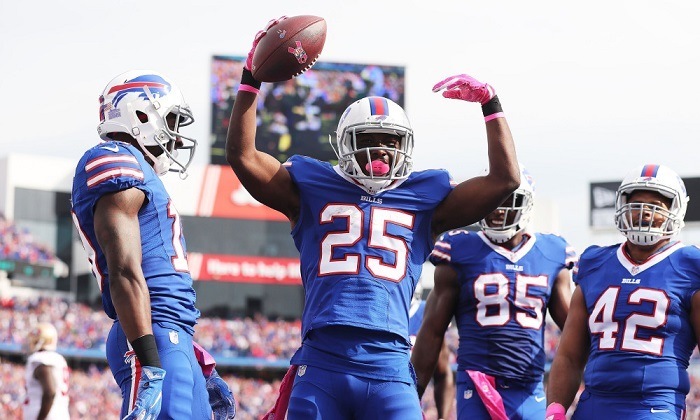 The Bills are also winless in Foxborough against Brady and their star running back, LeSean McCoy is ailing with a foot injury. It will take an injury to Brady and a miracle for the Bills to pull off the improbable. It's one of two ways approaching this AFC Playoffs: you can either go all-in on the Patriots. Even if it will take you more to win less, betting against the Pats seems like a losing effort. There is no value in a losing bet. Or, you can be a rockstar and pick an underdog to come through. Just consider that the Pats aren't the only team to beat. Betting can be done in Canadian-friendly online sportsbooks at your discretion.